The midcap index has gained over 24 per cent so far in Samvat 2072, while the small cap index rose over 17 per cent. During the same period, the Sensex could clock merely 7 per cent gains. 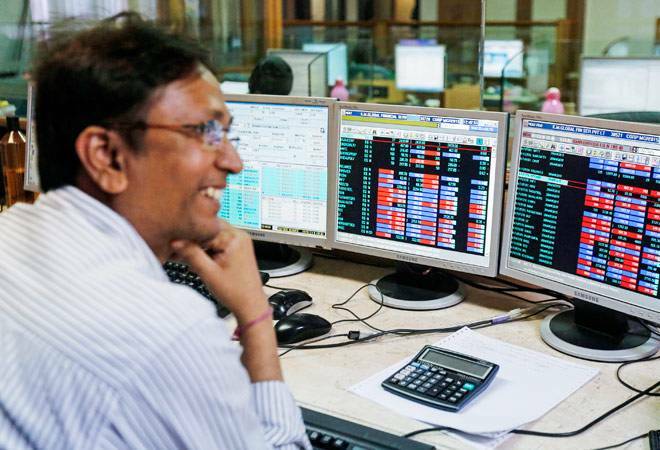 Midcap and smallcap index has once again outperformed the headline indices Sensex and Nifty for third Samvat in a row with experts believing former will continue to outdo latter in Samvat 2073. By the time the ongoing bull market matures, the categorisation of mid cap, small cap and large cap may fade away, they said. The midcap index has gained over 24 per cent so far in Samvat 2072, while the small cap index rose over 17 per cent. During the same period, the S&P BSE Sensex could clock merely 7 per cent gains, almost equal to what bank fixed deposits (FDs), so-called risk-free investment options, offered with 1-year tenure. In Samvat 2071, the Sensex offered negative return of nearly 4 per cent, while midcap and smallcap index rose 11 per cent, and 5 per cent, respectively. It is back in Samvat 2069 that Sensex outpoerformed midcap and smallcap index with rising 16 per cent, while midcap and smallcap index lost over 6 per cent and 15 per cent, respectively during the same period. Traditionally, largecaps tend to outshine small and midcaps during market downturns as investors believe that big companies are better placed to weather any storm. However, explaining the reason behind rally in midcaps, Abnish Kumar Sudhanshu, Director & Research Head, Amrapali Aadya Trading & Investments, said the heavy valuation gap between largecap and midcap stocks prodded investors to park their money in latter. "In calander year 2013, the PE ratio of small and midcap index to Nifty was ruling at 13X to 16X. Finding that valuation gap, investors chased these midcap stocks and beat largecap returns," said Sudhanshu. "Ever since the Prime Minister Narendra Modi-led NDA government came to power, Indian markets have been rising on a hope of an economic recovery. The economy, in fact, showed some signs of recovery by growing at a highest pace among the peers. Midcap companies benefit the most from such environment. As the economy grows, moderately large midcap could grow into larger companies and become large caps," added Sudhanshu. Jimeet Modi, CEO, SAMCO securities, on the other hand, feels traditional nomenclature of size among midcap, smallcap and largecap will sonn fade away be replaced by growth notations. "The differentiating factor this time for growth is not the size but technology. Therefore companies which are growing faster through the aid of technology and brands will outperform the benchmark indices; whether they fall under midcap or largecap will be immaterial," said Modi. "Samvat 2073 will continue with the trend of midcap outperformance, as liquidity will prefer such companies more compared to asset heavy value driven companies," the expert added.